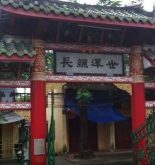 Quang Dong Assembly Hall (or Cantonese Assembly Hall) is the gathering place for community activities, religious worship of Quang Dong Overseas Chinese Association who live and work in commercial trading port of Hoi An. 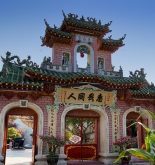 Being built in 1885, Quang Dong Assembly Hall is sophisticated construction with harmonious combination of wood, stone and exquisite decoration. The Hall is built in the shape of “国” on flat and wide ground. The large yard is covered by green color of bonsais, creating a green space cooling visitors in summer day. The construction is divided into three parts. The main room is worshiping Quan Cong, a famous General under “Three Nations period” in China, and his horses. Inside the Quang Dong Hall storing precious objects as horizontal, censer, celadon porcelain pedestal China. Assembly Hall is place organizing the annual grand festival on the 15th of first lunar month. 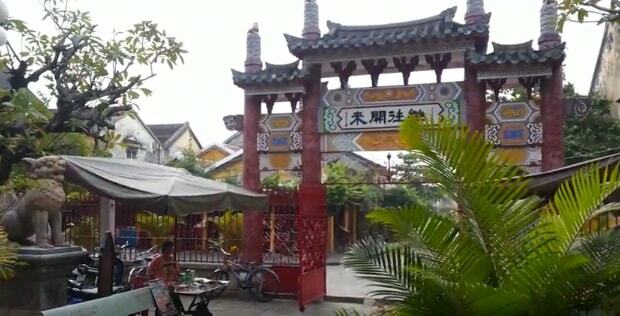 It is believed the amulets from this hall in Quan Cong worshipping anniversary on the 24th sixth lunar month can benefits their owner with good lucks. Therefore, many people overcome the long distance to go there for praying health, wealth and prosperity of family. Entrance fee: including in the Hoi An Old Town tickets. Address: 176 Tran Phu Street, Minh An Ward, Hoi An City.